Certificates - SurCom International B.V.
SurCom operates successfully in a market where reliability and trust are key concepts. It is therefore self-evident that we have all our employees screened and that they have a security clearance. In addition, we comply with US ITAR legislation, the US Foreign Corrupt Practices Act, NATO regulations, local laws and regulations in the area of ​​(national) security and local and European import / export regulations. SurCom holds various certificates and memberships that support and demonstrate our reliability. So you can be sure that you can trust us and work safely with us. The TRACE certificate shows that SurCom operates in an ethical manner and is reliable. SurCom complies with various American laws and international regulations. SurCom has a sound quality management system in accordance with this international ISO standard. NATO has developed quality management standards specifically for defense suppliers. SurCom works in accordance with this specific standard. 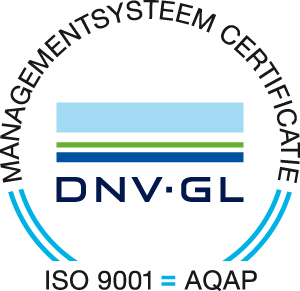 We hold ISO 9001/2015 and AQAP 2010/2016. SurCom holds a corporate membership with the Armed Forces Communications and Electronics Association and is an active member of the Dutch chapter. This non-profit organization unifies military organizations, government, the defense-industry and other in the area of C4ISR. Association of Old Crows is a community specialized in the area electronic and electromagnetic warfare, information operations and other information-ralated capabilities. This community aims at future challenges and requirements. Surcom is a member of the Associateion of Dutch Industries for Defene and Security and is active in the community-platformsn C2TP and NMC. These are targeted at command and control-technology and on systemintegration on board ships.